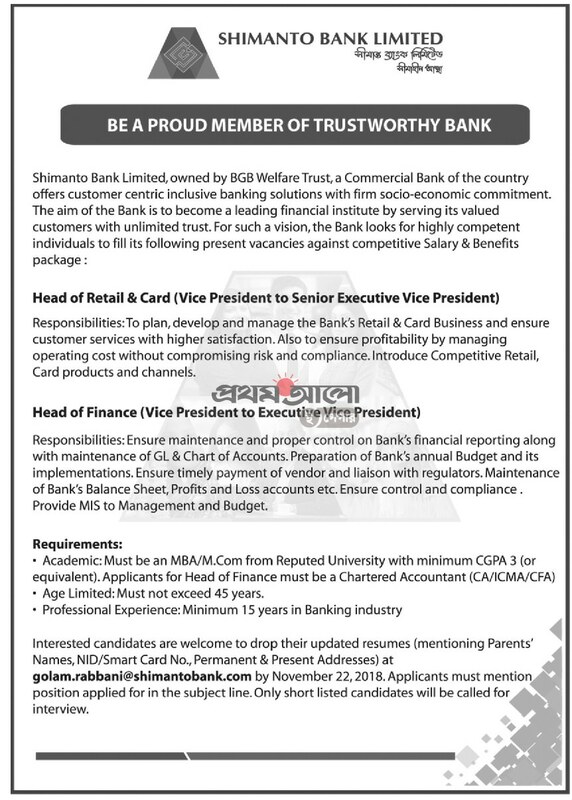 Shimanto bank job circular 2018 has been published by the authority. Shimanto bank is being increase develop day by day. Shimanto bank is maintain it’s work properly. Specially, shimanto bank is working for all the BGB member’s. It’s the most powerful and valuable institute in banking sector. This bank helps us to develop our social economy. Yet it’s effect is greatly felt. Shimanto bank produce many program like SME banking,retail banking,corporate banking,e banking etc.